If ever there was an art show to shake off the doldrums of winter with thoughts of the gentler seasons to come, it’s The Artist in the Garden at the James A. Michener Art Museum in Doylestown. Curator Kirsten M. Jensen has mined the museum’s permanent collection for gems by regional artists such as Daniel Garber, Edward Redfield, John Folinsbee, Violet Oakley, Rockwell Kent, Max Weber, Arthur Bowen Davies, Jennifer Bartlett, Elizabeth Osborne, Elsie Driggs, and Peter Paone. A companion exhibition to the glorious The Artist’s Garden: American Impressionism and the Garden Movement (1887-1920) at the Pennsylvania Academy of the Fine Arts (PAFA), the Michener show picks up where the PAFA exhibition leaves off. At PAFA, the focus is on the growing popularity of gardening as a middle-class leisure pursuit at the turn of the 20th century. At the Michener, it’s a celebration of the garden as a personal habitat, a place for rejuvenation and refuge from the 1920s through to the end of the century. Both the Michener and the PAFA shows are organized around themes. At PAFA you’ll find work by Hugh Henry Breckinridge, Cecilia Beaux, William Merritt Chase, Charles C. Curran, Maria Oakey Dewing, Frederick Carl Frieseke, Daniel Garber, Philip Leslie Hale, Childe Hassam, Violet Oakley, Jane Peterson, Jessie Willcox Smith, John H. Twachtman, Robert W. Vonnoh, and J. Alden Weir arranged into sections: American Artists/European Gardens; the Lady in the Garden; Leisure and Labor in the American Garden; the Urban Garden; the Artist’s Garden; and Garden in Winter/Garden at Rest. At the Michener, the paintings are loosely divided into three thematic sections, The Back Yard, The Mythic Garden, and Intimate Spaces/ Private Worlds. In the early part of the last century, artists were drawn to the picturesque towns along the Delaware River, to New Hope and Lambertville in particular. While most focused on the pastoral landscape, many were passionate gardeners. The depictions of their own backyard retreats demonstrate a post-industrial revolution rediscovery of nature’s restorative power. It’s an aesthetic that finds expression in the work of contemporary painters for whom their own back yard is not just a symbol of environmentalism but also a place for contemplation, a place to dream. Also at the Michener but moving back in time to the late 19th century, is Rodin: The Human Experience—Selections from the Iris & B. Gerald Cantor Collections, which also has a companion exhibition that goes along with it, The Rodin Legacy. His portrayal of God, incidentally, also happens to be a self-portrait. The Michener’s Rodin: The Human Experience spans the artist’s long career with major achievements such as the powerful Burghers of Calais, as well as works derived from his masterpiece, The Gates of Hell. 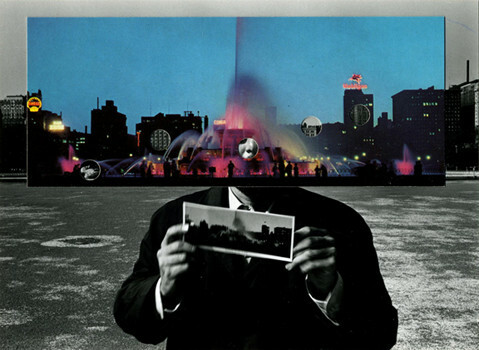 Others, such as The Night, demonstrate his experimentation with assemblage. Also featured are sculptures, such as Monumental Torso of the Walking Man, which shows his admiration for Michelangelo, and Dance Movement D, which speaks to his interest in creating an illusion of movement. 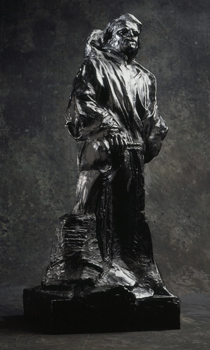 Because of his facility with bronze, able to convey the feeling of living flesh, as well as his interest in expressing extreme psychological states, Rodin is regarded as a bridge between traditional (left) Auguste Rodin, Balzac in Dominican Robe, modeled 1893; Musée Rodin cast 9 in an edition of unknown size in 1981, bronze; Georges Rudier Foundry. (right) Charles Rudy (1904 – 1986), Shorn Medusa, 1959, Bronze, 26 x 22 x 15 in. James A. Michener Art Museum. and modern sculpture. He influenced generations of younger artists in Europe and in the United States. The Michener’s companion exhibition, The Rodin Legacy, also curated by Ms. Jensen, shows the depth and breadth of that influence wth pieces by Gaston Lachaise, Warren Wheelock, Charles Rudy, Harry Rosin, George R. Anthonisen, and Charles Wells, among others. This small exhibition yields a measure of Rodin’s influence— his interest in naturalism, the partial figure and the use of direct carving—as it shows up in the work of leading American sculptors (as well as the British Henry Moore) to this day. Princeton University Art Museum’s exhibition, The City Lost and Found: Capturing New York, Chicago, and Los Angeles, 1960–1980, is a collaboration with the Art Institute of Chicago. It looks at the changes in these cities during the 1960s and 1970s, “when shifting demographics and political protests had as significant impact as highways and urban renewal.” The work of architects, photographers and filmmakers reveal “seismic transformations,” and a climate of upheaval. The City Lost and Found explores photographic and cinematic responses to the changing fabric of New York, Chicago, and Los Angeles through the work not only of major artists such as Ed Ruscha and Garry Winogrand but also through newly rediscovered projects that evoke the era. If you were not there the first time round, the experience of viewing these images might be the nearest thing to time travel. The City Lost and Found transports the viewer back to the streets, neighborhoods, and events in the country’s three largest cities during the sixties and seventies. 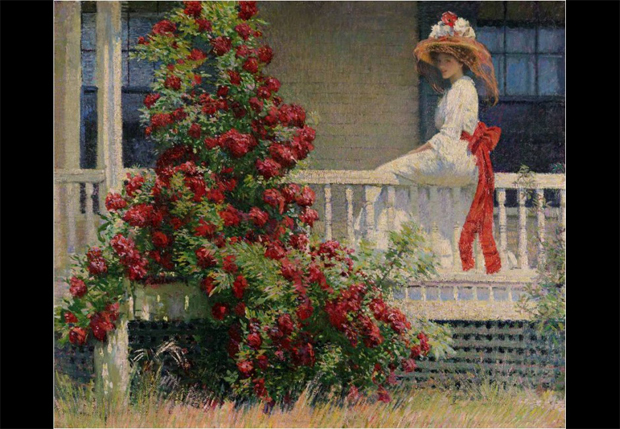 The Artist’s Garden: American Impressionism and the Garden Movement (1887-1920) is at the Pennsylvania Academy of the Fine Arts, 118 N. Broad Street, Philadelphia through May 24. For more information visit www.pafa.org. The Artist in the Garden will run through August 9 at the James A. Michener Art Museum, 138 South Pine St., Doylestown, Pa., where Rodin: The Human Experience—Selections from the Iris & B. Gerald Cantor Collections and the companion exhibition, The Rodin Legacy, will be on view through June 14. For more information, hours and admission, call 215.340.9800 or 800.595.4849, or visit: www. MichenerArtMuseum.org. The City Lost and Found: Capturing New York, Chicago, and Los Angeles, 1960–1980 will be on view in the Princeton University Art Museum through June 7. For information and hours, call 609.258.3788, or visit: http:// artmuseum.princeton.edu/exhibitions.